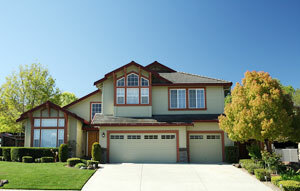 Replacing your garage door can have a drastic impact on your Austin, TX, home’s curb appeal. But did you know that it could also help your home become more energy efficient? Or that it could reduce the amount of regular home maintenance you’re required to perform? When you entrust the installation of your new garage door to the professionals at 31-W Insulation, you can enjoy all these benefits and more. Plus, Amarr® backs its products with a limited lifetime warranty, so you can be sure that your investment is well protected. In addition to installing only tried-and-true products from the industry’s most trusted manufacturers, we’re also committed to providing the top-notch service that our customers deserve. And, you can rest assured that your garage door will be installed with incredible attention to detail. We’ve proudly served homeowners since 1972, giving us the expertise to get the job done right. To receive a no-obligation estimate for your Austin, TX, home’s new garage door, contact us today. Be sure to ask about our other home improvement products, including attic insulation, simulated stone siding, custom closet organizers, and more.